All India United Democratic Front of Assam (AIUDF) will field candidates in 18 districts in the upcoming panchayat elections slated to be held on December 5 and 9 in two phases this year. The districts are Hailakandi, Cachar, Karimganj, Nagaon, Hojai, Darrang, Sonitpur, Biswanath, Lakhimpur, Kamrup (Rural), Barpeta, Goalpara, Nalbari, Bongaigaon, Dhubri, Mancachar, South Salmara and Morigaon. 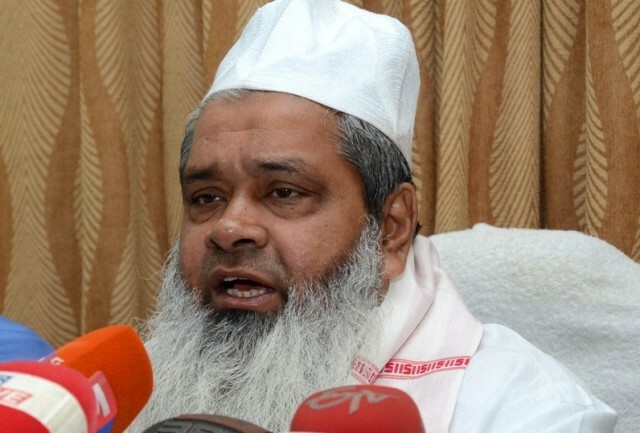 AIUDF chief Badruddin Ajmal on Sunday said the party will extend its support to the independent candidates in places where AIUDF will not field any candidate. “It is better to support them instead of going for alliance in the panchayat election,” Ajmal said. Ajmal after a core committee meeting on Saturday said that the party would continue its alliance with the Congress at the centre but not at the state. Ajmal informed that Citizenship (Amendment) Bill 2016, National Register of Citizens along with the failures of the government to fulfill the promises made before 2016 Assembly polls and 2014 Lok Sabha polls would be the poll plank of the party. Ajmal also appealed to the people of the state to ask ruling BJP to make clear its stand on the Citizenship (Amendment) Bill, 2016 and to provide report card on their ‘so-called development’ in the state. Lashing out at Congress, Ajmal alleged that Congress had ruined the state during its 15 years of rule in the state. “We will expose the Congress how they had gulped the funds meant for developmental work in the village panchayats,” Ajmal said. It may be mentioned that AIUDF was the second largest party with 72 zila parishad members out of 420 in the 2013 state panchayat elections while the then ruling Congress had swept the elections with majority.